B.M. 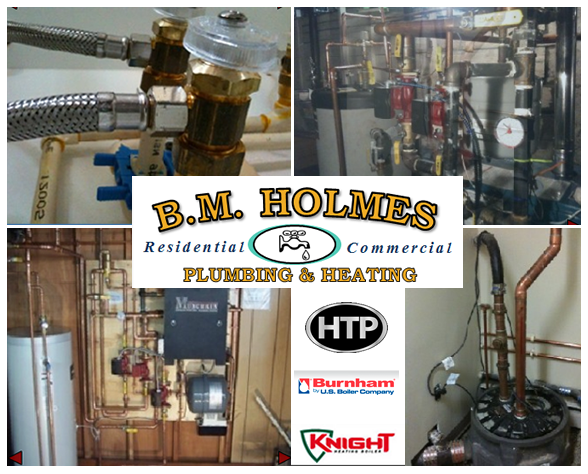 Holmes Plumbing & Heating is a full-service plumbing, heating and HVAC contractor. We specialize in the installation of high-efficiency heating and hot water equipment; as well as oil to gas conversions; and complete residential and commercial plumbing services. We also perform remodeling services, especially bathrooms and kitchens. Our residential services are well known and well respected in the Greater Boston/Metro-West area. We treat your home as if it were our own. We are knowledgeable in the latest technologies and will recommend energy-efficient equipment that will save you money by using less energy. We can also steer you in the direction of money-saving rebates and low to no interest loans on certain products and services. Since 1977, we have performed heating and plumbing services in the area and have gained the satisfaction and trust of our customers. We are proud of the reputation we have built and we strive to have our customers "completely satisfied." Our philosophy to build lasting relationships with our customers and to highly value customer service has led to success and repeat business. We hope you will consider us and call us for your next plumbing, heating, or remodeling job. Ask About Our Complete Remodeling Packages For Your Next Project! E-mail Brian to set up an appointment. Natural gas is the cleanest burning fossil fuel � it produces no soot or fumes. Converting to a natural gas heating system has so many advantages, you may wonder why you haven�t done it already! A typical home that converts to natural gas heating will emit up to 40% less CO2 and up to 99.9% less sulfur dioxide � two major contributors to climate change and acid rain. Converting also reduces emissions that deplete the ozone and contribute to respiratory illnesses like asthma. One home converting to natural gas will take up to 183,000 pounds of carbon dioxide from the environment. That�s like taking six cars off the street for a year. Most natural gas � 97.3% of it � comes from North America. Today the Northeast relies on foreign oil for 90% of its energy needs. If every community converted to natural gas we could reduce our country�s use of petroleum products by up to seven billion gallons per year! 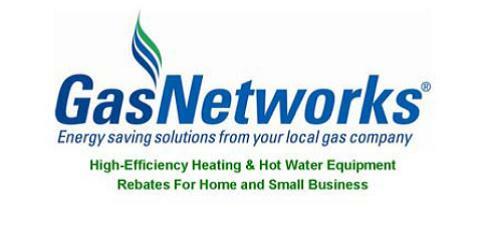 Convert to Natural Gas Now and SAVE! informational documents on this site. Please click on the icon to download it free from Adobe. Heating with natural gas is typically more affordable than heating with oil. Not only that, but today�s natural gas furnaces have higher heating efficiency, so they may reduce your carbon emissions along with your energy bills. Use the chart at the bottom of this page to get �per gallon� estimates of natural gas versus other heating fuels. to get a free estimate on your old boiler replacement. to schedule your energy audit! Serving Massachusetts towns of: Arlington, Auburndale, Bedford, Belmont, Beverly, Brookline, Burlington, Cambridge, Chestnut Hill, Concord, Danvers, Gloucester, Lincoln, Newton, Somerville, Waban, Waltham, Weston, Winchester, Woburn & other North Shore areas. Copyright © 2016 B.M. Holmes Plumbing and Heating. All Rights Reserved.